We’re all happy at how well Nintendo Switch is performing - not just because we’re obvious Ninty fans, but because such success has opened the door to a much wider and diverse range of titles than any other platform in the Big N’s history. So it’s fitting that something as niche and avant-garde as the 'walking simulator' is strolling onto a new platform, finally offering a brand new kind of experience in mobile form. With Firewatch also on the horizon, it seems fitting the first proper example of this genre should be the one that helped popularise it in the modern gaming era. Much like Limbo, Her Story and so many other indie titles, Gone Home has become a touchstone in games development. An experience that strips away so many of the systems we’ve become enthralled to over the years. There are no XP bars to fill. No skill points to assign. There are no puzzles to solve or platforms to leap to and from. There aren’t even any enemies or dangers (unless, of course, you’re petrified of storms raging outside and the occasional flickering light). It’s a game where you won’t actually do that much ‘gaming’. Instead, Gone Home offers the chance to unravel a mystery, one piece at a time, as you explore a house you once called home. Think of it as an interactive museum, only this one is littered with letters from loved ones, 'riot girl' cassettes and incidental details that paint a picture of a believable and - more importantly - relatable family. As you move from room to room, opening drawers and looking in closets, you uncover more and more details that show that not every family unit is intrinsically happy. There are clues that point to past disappointments, childhood awakenings and the pressures of becoming an adult. Played entirely in first-person, you enter the story’s titular residence as Katie, the 21-year-old eldest of the Greenbriar family who has just returned from an extended backpacking trip in Europe. But no one is seemingly there to greet you. A note on the inside door from 17-year-old sister Sam suggests she’s left the house for a reason she doesn’t wish to explain, and it’s this first ominous clue that leads you through the domain you once called home in search of why she's disappeared. 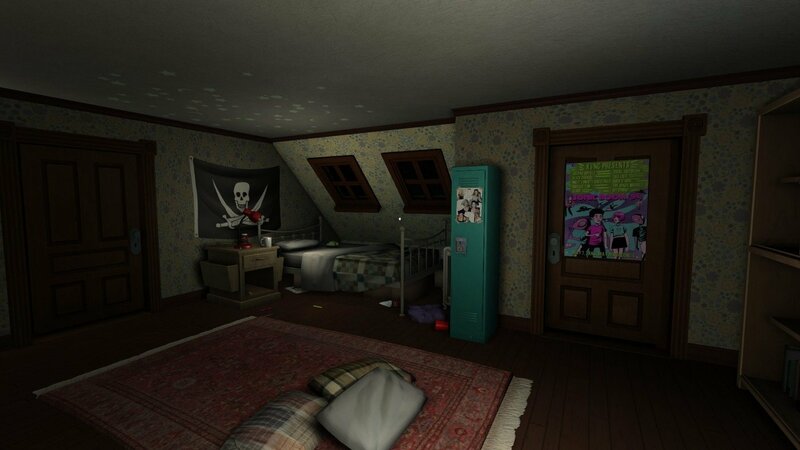 But this is the beauty of Gone Home. It’s not necessarily where she’s gone, but why. As you explore - looking at letters revealing your father’s younger years as he struggled to find a publisher for his books or stories written by your sister in elementary school that show the seeds of a troubled soul - you begin to unravel the history of Sam's growth from child to woman. You see her frustrations with the world, the fact she sees it differently to everyone else and the way she struggles to deal with the family’s own very public history. You see a female character transforming on her own terms, but you soon realise some of the most pivotal discoveries and challenges in her life were done without you, and you begin to understand the impact your absence has had on Sam. That story, told in snippets as you push further into the house, is told through items you pick up and read and through journal entries that are periodically unlocked as a result. Actress Sarah Grayson does a wonderful job of bringing Sam’s internal struggles to life, with these entries often written to her sister - to you as a player - despite your previous absence. Along with occasional snippet of dialogue from Katie herself, this spartan approach to dialogue makes for an intimate and far more affecting experience. Some very sensitive and taboo subjects are covered, but it never feels cheapened at the expense of being in a game. You can tell the four developers behind the game partially cut their teeth working on BioShock 2 - specifically its acclaimed DLC, Minerva’s Den. This is a game without danger, but one that leaves a tangible sense of foreboding thanks to the way incidental details and lighting are used. The fact that its mid-’90s setting is so beautifully articulated - from trashy teen mags left on coffee tables to TV listings that mention Boy Meets World and The X-Files - just shows how important small details can be in unspoken storytelling. The Switch version runs smoothly on Nintendo’s hardware and is a like-for-like port of the iteration released on PS4 and Xbox One. Using the Joy-Cons to explore never feels disjointed and you can even use the touchscreen in handheld mode to interact with items or move the camera. The game also supports extra details such as the ability to turn all lights on from the start (if you hate games full of darkened rooms) and the full interactive commentary that reveals countless insider details on how the game was written and designed. And even five years, Chris Remo’s score still gives us goosebumps. While it is a five-year-old game, there’s no denying the cultural and developmental impact Gone Home has had on the game industry. Both as a near-perfect exercise in interactive storytelling and an example of how to handle complex and very real ideas in a game, only Life is Strange has ever come close to matching its significance. While there still isn’t much ‘game’ to be found here, the story you unravel through exploring an empty home will stay with you long after you’ve put down your Switch. Essential. I would love another under the sea Bioshock game. Anyway Gone Home is very good, I highly recommend it. Hmm. I've wanted to play this for a long time but going to wait for a sale. 2 to 3 hour game at that price just isn't enough for my to bite right now. I have a copy on Steam (I think) and that's all I will need if I ever decide to experience it. I don't doubt the story is great and it's greatly told... But it's not my cup of tea. If I want to read I prefer to read from a book. You honestly found the story compelling? Nothing much even happens. @Moon I agree. I was very disappointed in it after all the hype. I wouldn’t call it a “masterclass” in any way. By focusing on exploration, the developers were able to tell a kind of story that would feel out of place in a game full of shooting or complicated puzzles. And they also managed to tell it in a way that is unique to video games. No book or movie could tell this story the way that Gone Home does. Still one of my favorite games of the last few years. I think I'm just gonna play the Steam version at some point. It's a clever game. The way it gives you nothing to start you off and you have no idea what to expect is very clever. Genuinely creepy at first. However I think the pay off at the end is nowhere near as good as some would have you believe and it becomes apparent fairly soon what is going on and the tension dissipates fast. There is no way I'd be giving this a 9. It's a 7 or there abouts for me. I'm undecided on this, I nearly pulled the trigger last night but decided to wait until some Switch reviews came in. I'm not really a fan of games where it's all about the story ,I was disappointed with Oxenfree and Opus and they put me off trying Night in the Woods. I know they're different to Gone Home but they're still story games. However I did really enjoy exploring the house of horrors that is Layers of Fear. I picked up every single note and opened every cupboard door and drawer to unravel the mystery, even though it was optional. I'm hoping Gone Home will have me doing the same. I think I'll buy and play it tonight. It's rare for me to be disappointed in a game that's received as much praise as this one has so I'm sure I'm going to enjoy it. I remember reading some user reviews of Inside saying it wasn't worthy of all the praise it got.They kind of put me off a little going into it which was daft as it turned out to be one of the most memorable experiences I've had with a game for years,alongside Layers of Fear. Steam version has been down to £1.79, so when the South African eshop does a 50% discount I'll look again. @OorWullie I've not played Oxenfree or Opus but Night in the Woods is imho one of the best games on Switch. The visuals and audio are beautiful, the writing is possibly the best I've ever seen in a video game. I felt I understood all the characters and their town, I cared about them as individuals as well as their parts in the overall mystery. Plus the gameplay was fun and there were many moments that made me properly laugh out loud. For me it was a solid 9/10. Gone Home felt a less polished affair, and whilst the story and sentiment are definitely worthy I just didn't feel as attached to any of it. Tbh I finished Gone Home after one session with an 'eh, that's done then' whilst I was itching to finish work and play Night in the Woods on the train everyday. No recommendation from me. Played it and left with a 'that's it?' feeling. I'm always in for great stories, this isn't one. I really enjoyed my playthrough with it when it was free on PSN but it's not something I would ever play again; I just don't feel the need to. The story/mystery was interesting enough and it wasn't very long BUT it doesn't really feel like a game to me, just an interactive story with little to no replay value. If you can get it for cheap, I say play through it once, but otherwise I can't say it's really worth it honestly. @Katon I played through this when it first came out and still get confused with the reception it received (and apparently still does). There are a many games I don’t like that others do but the portrayal and praise of this game was so over the top (and I do prefer story based games so it’s not that). Personally, I was left disappointed because it felt like it was going in much more interesting direction. Judging a game based on the subjective "cultural and developmental impact Gone Home has had on the game industry". I thought it was ok, but I wouldn't recommend it at the current price if you're on the fence. It's more of an exposition experience than a game, similar to Layers of Fear (minus the horror elements in LoF). It plays the atmosphere well, until you realize that's more of a coincidence than anything. You could probably just loop "Knockin on Heaven's Door" if you want music in the background. All you haters, go home. I thought this game was boring. I've always felt that it got attention because of one of the plot twists that I won't share here. Honestly though, once I made it through the game I felt that some of my life had been wasted. @MattFox She reminded me of that Hillary Duff Military School film I came across years ago whilst channel surfing. Trust me, I’m afraid you won’t have a chance with her and neither would I 😉. @gloom Why? It’s not like haters haven’t already had a chance to play it. It’s not as if people reading a review weren’t looking for opinions about the game anyway. Why does this feel like one of those "give this game a high review score, or else" situations? Firewatch is a much better game of this genre in my opinion. If you've got steam, I'd recommend that over this. 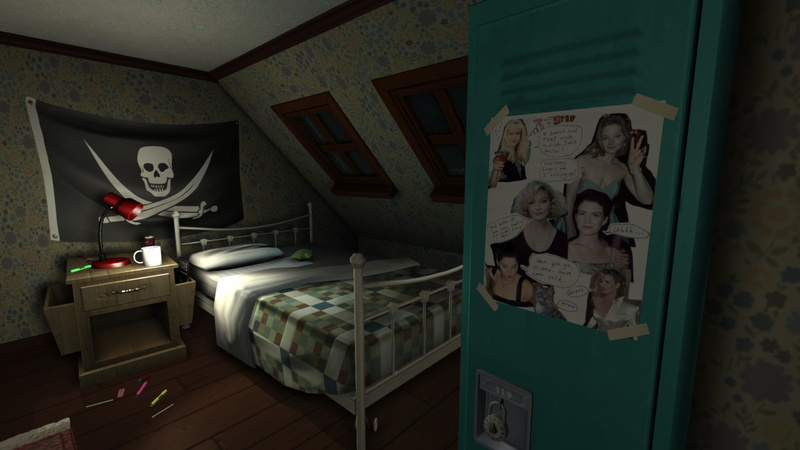 Gone Home was good but as others have mentioned, kind of fizzles out. Firewatch builds and builds and builds. I found it preferable. I too bought into the hype of this game upon release, and whilst I thoroughly enjoyed it, I don't quite understand its almost cult-like status. I think it struck a chord with a generation because of its excellent handling of an LGBT protagonist, but other than that it's just a short and simple game with a rather charming and touching tale to tell. I agree with most in saying that this game, with Life is Strange, is one of the few that successfully leave you a profound impression after finishing it. Although, there's less "game" in there than in "Life is Strange", and so it doesn't really warrant that price for the two to three hours it'll take you to finish the story (as it's more interactive storytelling than game). But if you find it on sale for less than $10, I'd say go for it, if you haven't played it already on another system. Yeah, this looks nice and I'll probably check it out... But... BIOSHOCK INFINITE on Switch - make it happen, people! It's 1/10 for me. This is the most artificial score I have seen on Nintendo Life just because the girls are lesbian? Come on. You are going to disappoint a lot of players. It's a very short "experience" with a few illogical puzzles and a really simple and mediocre story. I was excited to try this, but found it very dull. Admittedly I did not get far, maybe an hour. My main gripe was that for a game where walking and opening things are the main interactions, both felt clunky and dull. A choose your own adventure book has more gameplay elements than this sort of "interactive media," tbh. No competition, no conflict (vs man, vs self, vs nature), and no failstate. Calling it a game plays fast-and-loose with the definition, tbh. I enjoyed this game, though I can definitely say it's a very short experience, and more experience than game. If it's closer to any sort of game it's more point and click storytelling. You’re the first person to mention any character being lesbian. Not the person who gave it 9/10. I played it found it interesting. I wouldn’t give it a 9, but to each his/her own. > "A Peerless Masterclass In Interactive Storytelling"
> Author Profile Quote: "witter, talking utter nonsense"
Gone Home is certainly a unique title. The story is not all too different from many modern stories and family situations. I don’t think the story is why I thought the game was good. Now the way the story gave you a sense of discovery was good. Who wouldn’t want to creep through a huge house with secret passageways and poke through a bunch of stuff to unravel a mystery? That’s where I thought the game was uniquely great. In my college days my friends and I liked to find abandoned houses and go on adventures through them. There was a huge house in Tennessee we found with an indoor greenhouse, connected to a barn, three floors of stuff, and an old external garage/storage barn separate from the house with old classic cars in it. Everything was left unlocked except for the barn with cars (which we didn’t break into). From all appearances it looked like the owner was last in the home in 1995 (opened mail was left on the counter with dates on the letters). This was 2009 when we were rummaging through it so about 14 years of the house just sitting with nobody to care for it. We never pieces together why it was left abandoned. In an odd way this game reminded me of that adventure. @Ogbert Cheers for your thoughts on Night in the Woods. I'll likely go for it next time I see it on sale. This game does not deserve a 9/10, not even close, I'd give a 6/10 at most. It is not a game, its a interactive short story that's overpriced and over in an hour. Honestly, the story that is there isn't anything magical, its an average lesbian romance. I think this game gets 9/10s despite having no game play to speak of is because it has to get a 9/10 or they'll be ostracized from the gaming journalist community. if I’m trying to be positive about the game the atmosphere is really good in the beginning but that sort of fizzles by the end. Representation can lead to things being overrated even if is not especially well done. I think it's good for what it is, but not 9/10 good, especially for the price they're asking. 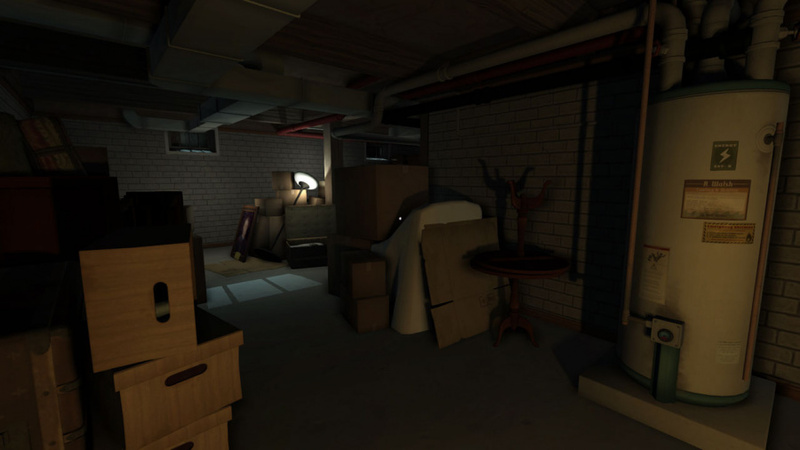 @Zach777 "Who wouldn’t want to creep through a huge house with secret passageways and poke through a bunch of stuff to unravel a mystery? That’s where I thought the game was uniquely great. In my college days my friends and I liked to find abandoned houses and go on adventures through them." This is one of the reasons why the "game" is so disappointing. The first minute when you have to find the key to go inside the empty (not abandoned) house it looks like it can be interesting despite of the very rough controls. Once you are inside, you can pick up and drop anything, including pen and pencils, without a real purpose, like a demo. Yes, there are things to read and hear but none of them makes the game interesting and live up to the player's initial expectations. Layers of Fears is basically the same concept but with a much better execution and a much more interesting and mysterious story. I never had a hard time with the controls. Like I said, the story wasn’t that noteworthy. It was a unique experience overall and I will probably never play it again. I’m only saying I wouldn’t consider my $15 spent dollars a waste. I’ve wasted $15 on worse before, that’s for sure. I have never tried Layers of Fear, might consider it the next time a sale happens! @Zach777 Layers of Fears had me wondering what the feelings and intentions of the protagonist were until the very end so as far as narrative goes it's a million miles ahead of Gone Home. I recommend Layers of Fears, it's a bit short but more gamey, more replayable (six endings), more intense and more enticing. The neverending horizon, it seems like. Has there been any word from the devs on a new release date, since "spring 2018" obviously isn't happening? @OorWullie I'd watch a bit of gameplay videos of "Night in the Woods" before buying. I read a great deal of fan praise, then watched some, and was decidedly turned off by the games style, characterizations, dialogs and gameplay. "There aren’t even any enemies or dangers"
That's actually a bit of a spoiler, seeing as how the game goes to great lengths to make you think something terrible happened to the family at first. I prefer my games to be games. I have books if I don't want that. While this is sort of up my alley, I think I'll wait for a sale before I ever pick this up. I liked RGT85's review on it. 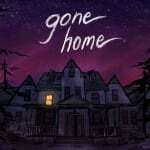 "Gone Home - The Worst Game of the Year Winner Ever"
Gone Home is great, but personally think this review succumbs to hyperbole a little bit. It's very good, but it's not genre-defining even among walking simulators (Edith Finch, for example), so calling it a 'peerless masterclass' is a little bit much, IMO. Still thoroughly recommend it though if you like these kinds of games! I highly doubt women in the armed forces are allowed to dye their hair purple while on active duty. So I guess this throws realism out the window. @gloom Eh, it wasn’t a terrible pun. I just didn’t catch it. It sounds completely up my alley and can't wait to play it. It'll be high on my backlog for now. This game is disappointing if you ask me. It keeps teasing you that there is some great secret or tragedy that happened but the "twist" at the end is ultra lame. Do you like being teased that there is something amazing around every corner only for there to never be anything there? Then this game is for you. Bought and played this one on Steam a while ago, and personally didn’t like it very much. I actually found it quite dissapointing and BORING. I still don’t understand all the high scores this “game” has received over the years. I just can’t. I have never played a walking simulator. I have still got no idea if I would enjoy one. I never enjoyed it. I didn't hate it, but it was about as exciting or engrossing as walking through any virtual house. Maybe the fact that I've lived through her pretty mundane life has an effect, but it wasn't anymore interesting than a random youtuber's story to me. 9/10? what a hack. This game is a trash fire I downloaded for free like 3 years ago or something, and it wasn't even worth the harddrive space. I'm really not feeling these extended review titles, they look really messy on the homepage. It prevents them actually standing out as reviews when scrolling down through the articles. @Galenmereth Exactly. What impact? Walking simulators were around before Gone Home and it aded nothing new, the glowing reviews were in large part due to the developer's connections to game journalists. Yeah, but is it Knack 2 good??? Came for the review, stayed for the tears in the comment section. This was given away for free on Xbox a while back and while I did more or less like the game it pretty much convinced me that walking simulators, unless they are horror focused really aren't for me, but they were probably never intended for me as I place gameplay above story. Well just finished it and I have to say what a total disappointment. I quite enjoyed myself exploring the house and reading all the notes but it was in the expectation something was going to happen, the big twist that's going to leave me sitting there thinking about it long after it's ended but nope, nothing other than possibly the worst ending to a game I've ever experienced. Absolutely piss poor "game" and an even worse story. The way I'm feeling about it right now I feel a 4/10 is flattering it. I recommend it to no one. @wyzworld76 Cheers. I think I'll just avoid it altogether now. Just finished Gone Home and thought it was absolutely terrible. Story games like this, unless they're horror based are clearly not for me. Wow, a 9 on the review score, and a 2.3 user rating so far! Not that I can blame the users, as this sounds like one of the most boring video games ever made, if you can even call it a "game" in the first place! Even if I was into this kind of story, I'd just read a book or go to an escape room rather than waste my time trying to squeeze any kind of enjoyment out of this excuse for interactivity. Great review! Absolutely agree with the comparison to Life is Strange. This game is a masterpiece. Maybe not for everyone, but this is a very emotional and brilliant game nonetheless. "A Peerless Masterclass In Interactive Storytelling", never has a phrase made me want to not play a game more than this. I’m a big fan of narrative games and visual novels, this game however didn’t do anything for me. It’s a 6/10 at best. There's a lot of negativity in the comments but am going to get this game to try for myself. Only in a sale though, seems too short too pay full price. (Slow clap) Yay~ Game of the year material. On one hand, I have already played it on PC twice and the cartridges aren't really worth doubledipping. But on the other, I had good time with it. If I spot the physical version in a store without having to order it from abroad, I might bite. I think I would rather play FireWatch when that comes out instead. This particular walking simulator holds no interest for me. Hopefully FireWatch gets released soon. I have not played Gone Home so cannot attest to its quality. I also do not criticise NintendoLife, because all enthusiast media, like tech, cars, you name it, are subject to the culture. But I weigh this recommendation very heavily against the very prominent adverts for Gone Home that currently feature here. Again, not a criticism of the reviewer, this game or this site. This is just my awareness of enthusiast media and the requirement to effectively network with industry or else risk losing access. Keep up the good work, NL.